If you’ve been keeping up on the latest marketing trends then you are most likely already aware that content marketing is the total new kid on the block. 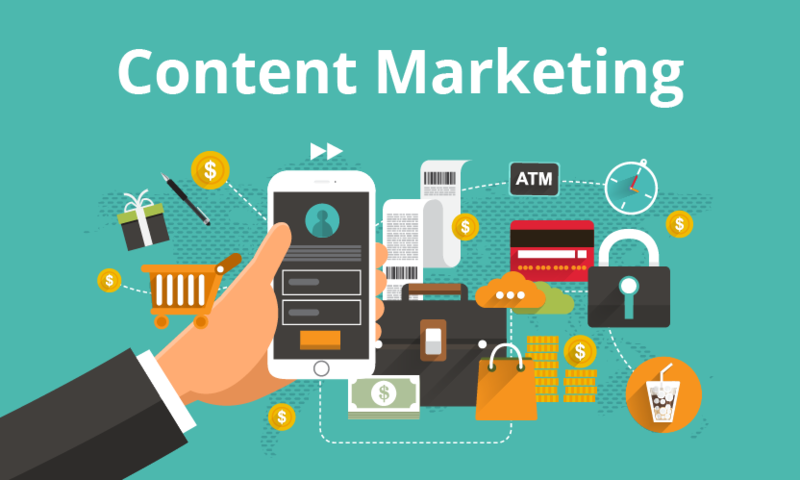 More and more organizations are realizing the numerous benefits and versatility that content marketing yields and as a result they are beginning to incorporate it now more than ever into their marketing efforts. According to recent research by crowdfunding company Classy, inbound marketing Tactics such as content marketing deliver 54% more leads than traditional outbound marketing techniques. 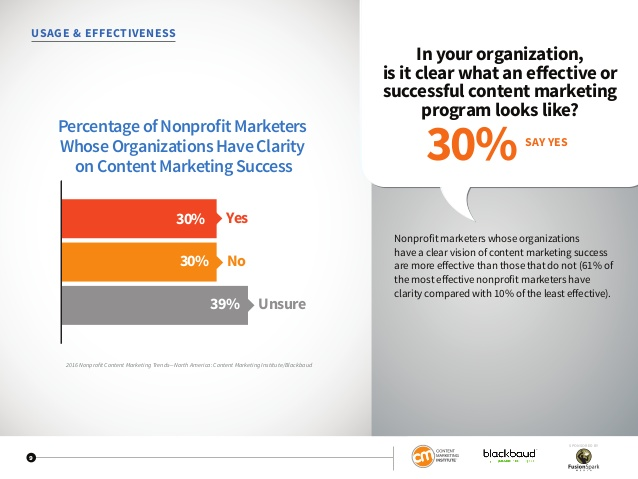 CMI recently found that approximately ninety-two percent of nonprofits are currently use content marketing — and if you’re thinking this trend may be shortly lived — think again. According to Content Marketing Institute, 65% of nonprofit organizations are producing more content then they were just one year ago. So if you’re looking to build up your content marketing strategy, we’ve compiled a list of fundamental tips specifically formatted for nonprofits in order to help boost their content marketing efforts. Many nonprofits may find themselves apprehensive to sit down and devise a practical content marketing budget and a lot of this is due to the fact that they’re in a particularly more tricky situation than many other businesses. Finances tend to be pretty tight and spending is highly scrutinized when it comes to nonprofits, and as a result, they have to be extra careful with which avenues they choose to allot their funding towards. 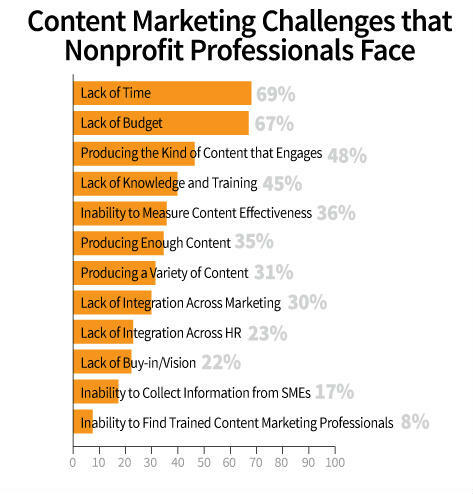 Did you know that “lack of time and budget are the biggest content marketing challenges nonprofits face” according to Content Marketing Institute? Additionally, many just don’t know where to begin when it comes to properly budgeting for their content marketing strategy. According to 2017 data, the average percentage of a marketing budget that is spent on content marketing by organizations clocks in right at 29%. Content marketing Institute found that approximately 22% of companies spend between 1% and 9% of their marketing budget on content, with 19% planning to increase that number to anywhere between 10% and 24% in the coming years. Of course these figures just give you a generalized idea of how other organizations are prioritizing their content marketing efforts. But the truth of the matter is that your budget is 100% dependent on the eccentricities of your particular organization and should be configured in a manner that is best for your company. Take the time to formalize your processes and document or strategy. 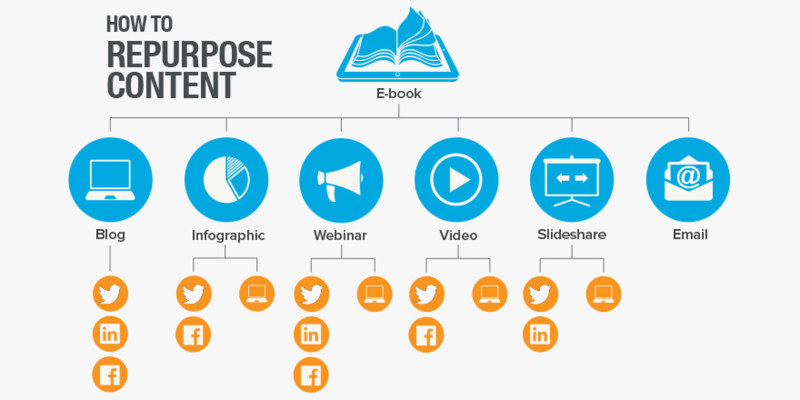 What is your organization’s end-goal when it comes to content marketing? 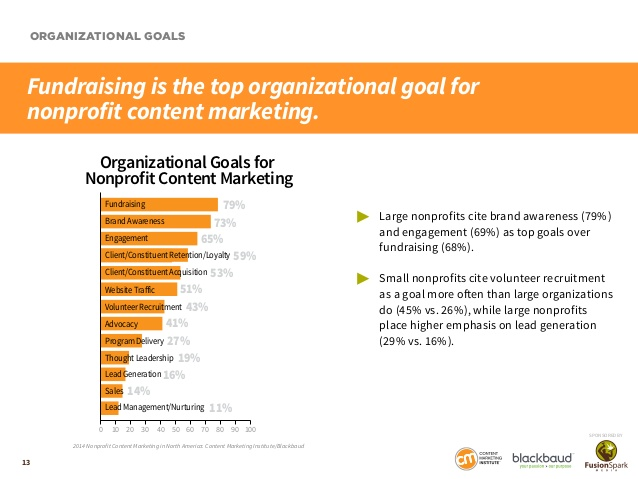 79% of nonprofits say fundraising is their content marketing’s top goal. Other top priorities of organizations surveyed included brand awareness and engagement. While just 25% of organizations surveyed were found to have a documented content marketing strategy, the truth of the matter is that the most successful organizations all have one. In fact, organizations with a documented content marketing strategy were shown to see their efforts as more effective then those without one. Don’t make the mistake of just winging it when it comes to your content marketing efforts. It’s absolutely essential that everyone is on the same page and that marketing efforts are tailored to available resources and are created with measurable goals in place. This is the only way in which your organization will be able to gauge exactly how effective their efforts are. 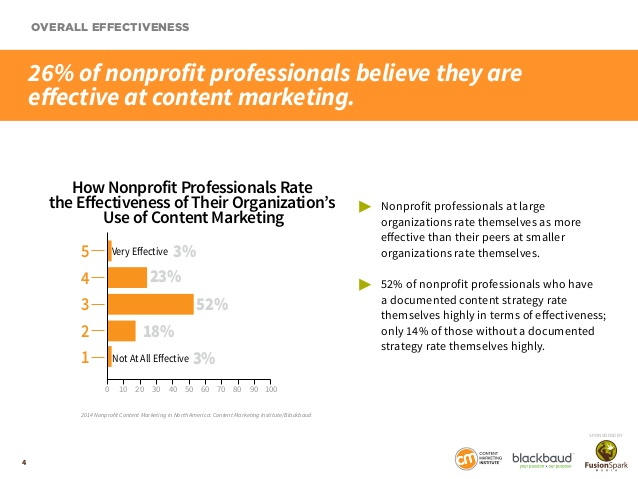 Furthermore, Content Marketing Institute also found that 86% of the “most effective nonprofit marketers have someone who oversees their content marketing strategy”. Appointing an individual to manage your content marketing strategy is absolutely essential. It not only promotes accountability, but it keeps your efforts consistent and focused. 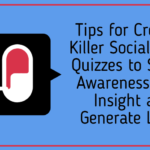 It’s not enough to just to create a killer content marketing strategy, document it and then implement it in an effective way. Content marketing strategies should be intentionally set up to be measurable so that analysis can take place at every step of the process. After all, the last thing on earth you would want to be doing is throwing your resources away on ineffective tactics. So how exactly does one measure the effectiveness and ROI of their content marketing strategy? If your content marketing efforts are focused on social media, then social metrics on engagement such as shares, comments and likes are ideal for measuring effectiveness of content. Ideally, these numbers should be steadily increasing. Website metrics such as traffic, page engagement and click-through rate are essential in determining the effectiveness of your inbound marketing efforts as well. 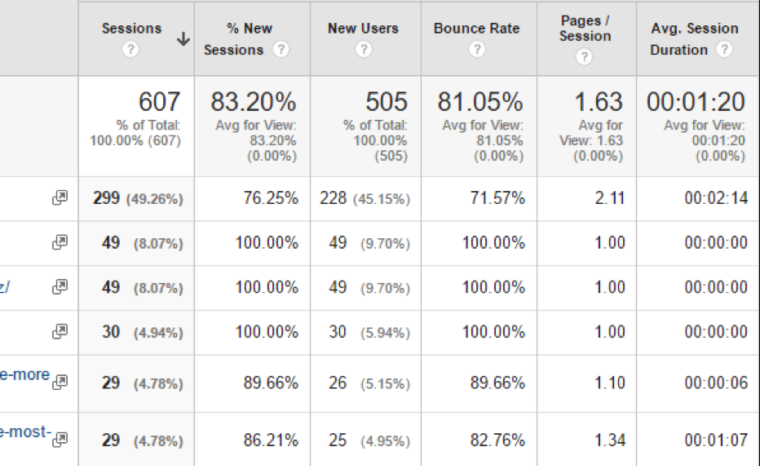 Retention metrics are great for measuring how captivating your content is and unique visitors tells you how effective your efforts are at bringing in new leads. Finally, cost is essential in order to calculate ROI. This entails not just content production but distribution efforts also. Identifying creative ways to repurpose content is absolutely essential, especially when it comes to nonprofit organizations. 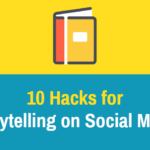 This cost-effective tactic is one of the best ways that you can get the most bang for your buck with your content. 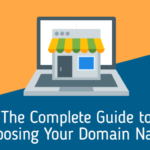 For example, if you write a blog post, try translating the information included in the article into a visually pleasing infographic and circulating it around your social or email channel. If your organization is active on Twitter, instead of posting a long-form piece from your blog, try tweeting various key points and interesting finds to better grab the attention of your audience. Perhaps you can find a way to compile various insights and data you’ve collected over the course of the year and craft a detailed annual report on your organization’s findings. Repurposing content expands your reach while simultaneously saving you valuable resources that would otherwise be spent on crafting unique and new content. Pulizzi goes on to say that nonprofits as such should focus their efforts on being the “go-to resource” for the particular channel(s) they decide to focus their efforts on. Concentrating your efforts on the platform(s) or channel(s) which have the highest potential for returns prevents your efforts from being diluted. After all, it’s impossible to market to everyone and you wouldn’t want to do that anyways. Facebook is by far the largest social platform used by nonprofits for marketing purposes with a whopping 91% of nonprofits distributing their content on the social channel. Twitter comes in second with 65% of nonprofits using the platform to distribute content. Other major platforms used by nonprofits include Youtube, LinkedIn, Quora and the more recently popular Medium. Another creative way to concentrate your efforts and stand out is to establish yourself as an industry authority that creates the best informational video content, infographics or case studies. Excelling in a particular form of content is a viable route to giving you that extra ounce of singularity. 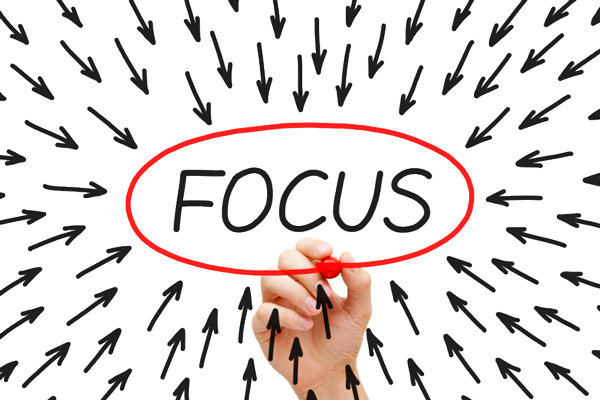 Regardless, concentrating your efforts, whether they be on a particular platform or within a particular type of content gives you a competitive advantage that cannot be denied. 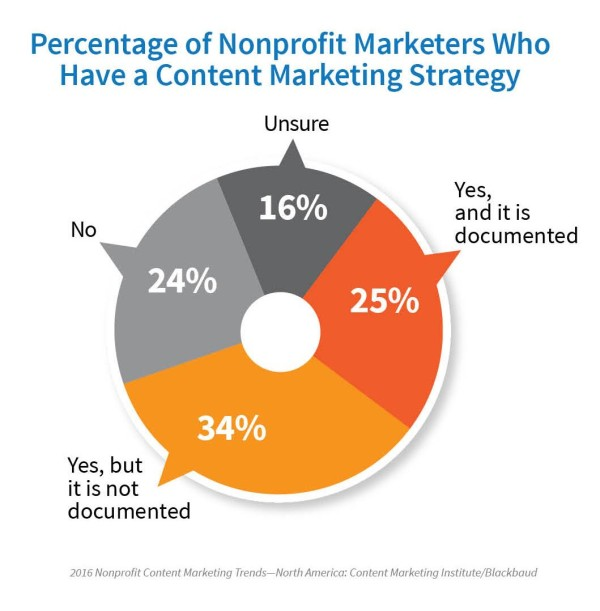 Content marketing with nonprofits presents its own set of unique issues. Budgets are tight, finances are scrutinized and priorities are in place that can often undermine the need for new, trendy or additional forms of marketing and promotions. Setting in place a proper budget and formalizing the processes is absolutely essential in order to set yourself up for success and maximum effectiveness. These two processes are also necessary in order to be able to effectively analyze your progress , success and return on investment with your content marketing efforts. Furthermore, repurposing is absolutely vital, especially for those in the nonprofit sector where funding can be tight and often fluctuating. Repurposing gives you the ability to make the most of your content marketing efforts in the most cost-effective manner. Finally, organizations should not feel pressured to spread their efforts among dozens of platforms and channels for the sake of getting in front of the widest audience possible. The truth of the matter is that efforts are often diluted when spread amongst too many platforms and many companies find the most success with laser-focus on one to two platforms. If your organization is serious about reaping the awesome benefits of content marketing, then you’re going to have to make sure you have a rock solid foundation to start from. Creating a cohesive strategy that is in alignment with organizational goals and devising a measurement plan takes time, effort and collaboration. However, all of this is vital for success and lucky for you, content marketing is one of the wisest investments you can make — the numbers don’t lie.